In TV news just in, 'American Idol' has been canceled, with the last season - its 15th - kicking off in January 2015. "'American Idol' will begin its 15th -- and final -- season this January on FOX," the network wrote in a release. "A season-long celebratory event, American Idol XV will feature host Ryan Seacrest and judges Jennifer Lopez, Keith Urban and Harry Connick, Jr., as they search for the final Idol superstar and pay tribute to the past 14 seasons of amazingly talented contestants and the millions of fans who tweeted, texted and championed their Idols." The show first introduced judges Paula Abdul, Simon Cowell, and Randy Jackson, then going on to work alongside Kara DioGuardi, Ellen DeGeneres, Lopez, Steven Tyler, Mariah Carey, Nicki Minaj, Urban, and Connick, Jr. 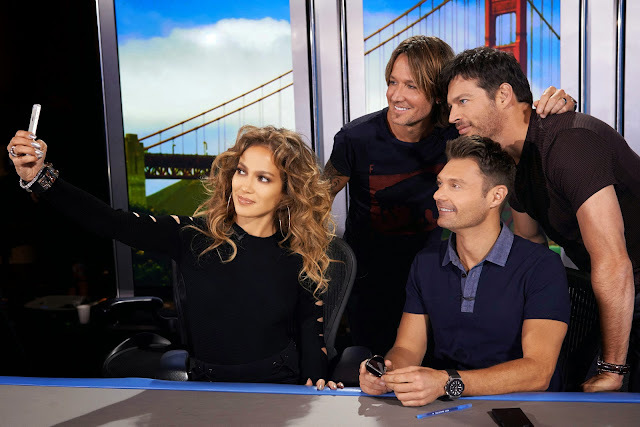 The trio of Lopez, Urban, and Connick, Jr. has been in place on the show since 2014's 13th season of 'American Idol'. Previous winners, finalists, and semi-finalists have been: the original Idol Kelly Clarkson as well as later competitors such as Oscar winner and 7th runner-up Jennifer Hudson, Carrie Underwood, Fantasia Barrino, runner-up Clay Aiken, and Jordin Sparks, to name a few.